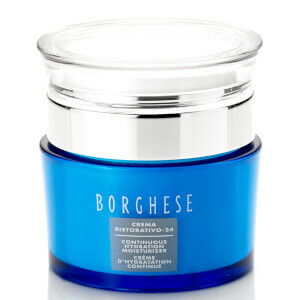 Combining traditional, classic Italian beauty with modern sensibility, Borghese boast a collection of high quality and effective skin treatment products. Their innovative products are formulated with cutting edge technology and time honoured botanicals to effectively address your own individual beauty concerns. They believe that each and every female has a hidden beauty which they aim to unlock. Due to this, each product is specially created to help you to discover and celebrate your own unique beauty. The Borghese Fango Delicato Active Mud for Delicate Dry Skin is a mud mask for the face and body to comfort and pamper dry, lacklustre skin. Enriched with moisturising and protective ingredients mango butter and chamomile extract, it will restore moisture back into the skin. By targeting clogged pores and dead skin, the mud restores softness and suppleness, leaving sensitive skin feeling comfortable, refreshed and replenished. Perfect for use after a long day or when your skin just needs that extra boost! 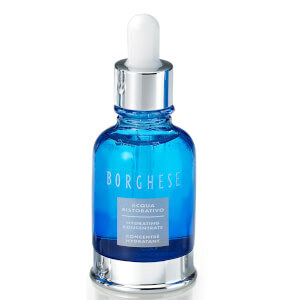 The Borghese Effetto Immediato Spa Soothing Tonic is a nourishing, cleansing and calming facial mist specially formulated for dry and delicate skin. By cleansing away the last traces of makeup; ingredients calendula, butcher’s broom, sage and hyaluronic acid intensely hydrate the skin to re-balance your complexion. After use, your skin will feel fresh, clean and comfortable, and it’s suitable for all skin types. Use of this soothing tonic prepares the skin for the next steps in your skincare regime for optimum results and bonus; its alcohol and fragrance free!